After more than 45 years as a civil trial attorney in East Texas, Mr. Wilcox now focuses his practice on mediation. Trained as a mediator and having conducted and participated in numerous mediations as both the mediator and representing clients, Mr. Wilcox brings a unique perspective to the mediation arena. Prior to concentrating on mediation, Mr. Wilcox devoted his practice to consultation and local counsel representation of clients in Patent Litigation in East Texas. In that connection he served as local counsel for, and provided consultation services to major national law firms in over 400 cases. Before concentrating on Patent Litigation, Mr. Wilcox was board certified as a trial attorney by the National Board of Trial Advocates and the State Bar of Texas, and handled complex civil and personal injury litigation. He served as lead counsel in over 150 jury cases tried to verdict and has handled appeals to the Texas Courts of Civil Appeals, Texas Supreme Court of Texas and the United States Court of Appeals for the Fifth Circuit. Mr. Wilcox is a member of the State Bar of Texas, Smith County Bar Association, and Bar Associations of the Fifth Circuit and the Eastern District of Texas. 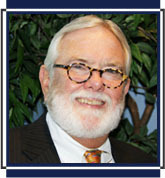 Mr. Wilcox is a former President of the Gregg County Bar Association, and a Member of the Texas Bar Foundation. Mr. Wilcox is a native of East Texas. His personal interests include sailing, bluegrass music, woodworking, travel and history.